…especially, when a long-term relationship or marriage is coming to an end. You may be struggling (or have struggled) with the decision to separate and/or divorce. Some try to work it out, on their own, with a counselor or coach. Some are not given a choice, their spouse/partner have decided for them and then it’s laid at their feet whether they like it or not. For some, it is by mutual agreement (but not necessarily amicable). Whether you are 25 or 75 the process of separation and/or divorce is stressful, and a very difficult period in life. The transition from being husband or wife to being “divorced and single” can be a painful transition. You may be thinking, “but he/she is (was) my soul mate!” Perhaps you were considering the process yourself due to the conflict in your marriage, but now he or she has “beat you to the punch.” Essentially, when you get down to it, you realize there is a great deal of strain in your relationship, and it doesn’t seem to be getting any better no matter how much you try to please your spouse/partner. Attitudes change. Physical and emotional affection has subsided or just became non-existent. Perhaps your children are younger and living at home, you try to resist showing your feelings, especially anger, but it seems to just pop out from time-to-time. When your kids are out of the house, living on their own, maybe even with their own families, it may be hard to resist using them as a confidant. Boundaries. Your kids, old or young, love your spouse and you. A good way to invite your child’s resentment is to “bad mouth” their mom or dad, whether they are 5 or 45. OK, so you’ve depleted your friends, they’re starting to avoid you, because every time you see or speak with them, it’s about your divorce, and how angry or hurt you are with your soon-to-be-ex-spouse. Your family, while they may be firmly “on your side,” may be too close to offer objective advice. What about your mutual friends, you know the people you and your soon-to-be-ex-spouse are both friendly with? My theory is, you cannot sit on both sides of the table. Your mutual friends may make a choice, and if they choose your soon-to-be-ex-spouse, that can be another wound that is difficult to cope with. Support is paramount at this time. If your support system is thin, build it up. Having support is just as important as making the decision to divorce, or to learn how to cope with the pain and stress from the ending of the relationship. Do you need a therapist? A coach? 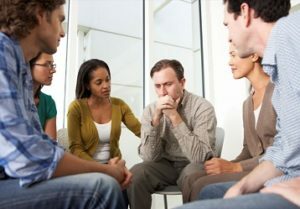 A support group? Frankly, depending on what your needs are will determine whether you are best served by a therapist or a coach. Combining a peer divorce support group with your work with a coach or therapist will help you to learn to manage the stress of this process in a healthier way, a less stressful manner and help you move forward that much more quickly. Using a support group makes you a human being, not weak or foolish. It makes you practical. It’ll help you develop insight you may not have had before, and that’s always positive. Here’s another thing, it doesn’t necessarily have to be a “psychotherapy” group. Peer support groups can be just the thing the doctor ordered! A psychotherapy group is run by a therapist. The other people in the group (patients) are generally experiencing symptoms of a more significant depression, anxiety or worse, and require a higher level of care than that of a peer support group. While you may be feeling down, not sleeping well, and are having difficulty concentrating because the stress of the divorce is a bit overwhelming, you may not require a formal psychotherapy group. If you’re unsure, book an appointment with a therapist and tell them your concerns. The therapist will tell you whether you need a therapist, a psychotherapy group, both, or some coaching and peer support. A peer support group is informal, generally started by people like yourself who just wanted to get together with others who were divorced, divorcing or separated, so they could receive support, and give support. One resource for finding such groups would be Meet-Up.com, a social networking site that offers hundreds of activities, including peer support groups. Speaking with others who are in the same or a similar place, or have experienced divorce may help you understand what to expect. Talking with your peers may help you feel less worried or frightened. You need and want someone who understands your worries, fears, anger, sadness. Someone who also doesn’t sleep well because of stress. Whether you wanted the divorce or not, you’ll need to mourn the death of the relationship. Some people might say, “why are you so sad, I thought you said he was a big jerk?” Or, “Why do you keep talking about her, I thought you said you were glad to be rid of her?” It’s natural to mourn, it’s a necessity. A peer support group can offer you compassion and understanding during this difficult time. If I’ve convinced you to seek out a peer support group, I just want to caution you to be sure it is an actual support group, where you’ll sit and talk and listen to your peers. There are some groups that may call themselves “divorce support” but in actuality, it is more a social group or even a singles group where people gather to meet someone to date. There’s nothing wrong with that, but if you need genuine support, you need the peer divorce support group. So read the group descriptions carefully. Remember earlier I mentioned some people are hungry for love and compassion, they have an idea that “dating” is the way to get it. Your age doesn’t matter, you could be 25 or 65, you and the rest of the world’s population want to be loved and cared about. Just beware…that’s an external fix. What I mean is if another person seems to give you with the love and caring you believe you need and want, they can also take it away. Relying on someone other than yourself to restore you to a time and place where you felt safe and loved, can be a very serious misstep. Learn to love and respect yourself, that no one can take away, you own it! Not sure how that works, owning your sense of self? Engage a therapist or a coach to help you through it, and supplement it with a peer support group. You will learn healthy coping skills, and ways to relieve your stress, and maybe even sleep better that night! With good support, you will not just survive, you will thrive. Yes, thrive! You may hope someone out there will rescue you from all of this insanity, but as much as I hate to burst your bubble, there’s no one. Not your best friend, not your lawyer, not your coach. Learning to care for yourself, now that’s the ticket! Redefining yourself means you need to know yourself. You’ve been a wife, or husband, mother or father, sister, brother, a busy working professional, or a stay-at-home parent managing the day-to-day business of your home, your kids, your spouse or partner for many years. Divorce and/or separation is a challenging transition. Finding out who you are and coping with this transition will take time, reflection and support. I guarantee you will come out the other side stronger, more confident, smarter and of course, extremely beautiful (or handsome)! I could tell you not to worry, but you know yourself best, and worry you will. Just don’t worry yourself sick! Get out there, talk to people in the peer support group. Ask your lawyer, therapist or coach if they’ve heard of any groups that have helped clients, they have worked with previously. Get some exercise, even if it’s only a 10-minute walk every day. Lay off the candy, salty snacks, and eat plenty of fruit and veggies. Minimize alcohol. I know, you don’t usually drink alcohol, and if you don’t that’s great. If you do, understand this, alcohol is a depressant, it’ll negatively affect you emotionally, disrupt your sleep, affect your ability to think through the important matters you need to think on now, and your ability to help your coach, lawyer, mediator, etc., to help you. You’re going to thrive, so get going! NOTE: If you think you would like to consult with a therapist, but don’t know of one, give your health insurance carrier a call and ask them for a list of providers in your area. Psychology Today has a great website where you can choose your own therapist. If you have out of network benefits, you may be able to choose which provider to use whether they accept your insurance or not. 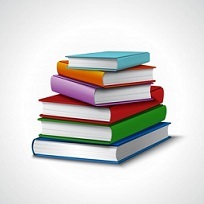 With each blog, I’ll offer some readings you may find helpful in understanding the topic of the blog. Here are some that may help you understand the transition your working through now. **BILL EDDY has written at least a half dozen books on divorce, mediation, and dealing with high conflict people. His writings are a great resource for anyone who is in the process of divorce. I am not affiliated nor do I endorse any book or website noted. These are offered as resources or “jumping off” point. Use of a Parenting Coordinator, Mediator or family therapist are excellent if you wish to resolve parenting/co-parenting issues.